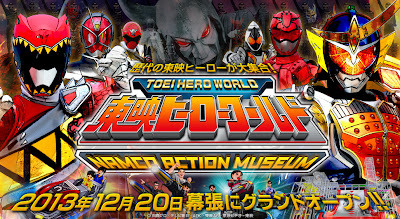 The official website for "TOEI HERO WORLD", the world's first museum dedicated to expose a vast collection containing the story of tokusatsu heroes, have finally opened. 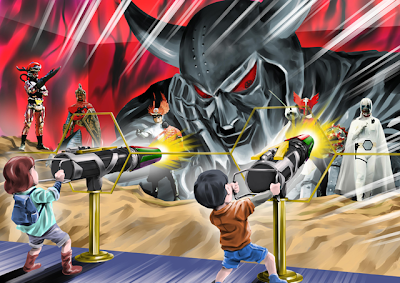 The site lists the attractions available once the museum opens this December. 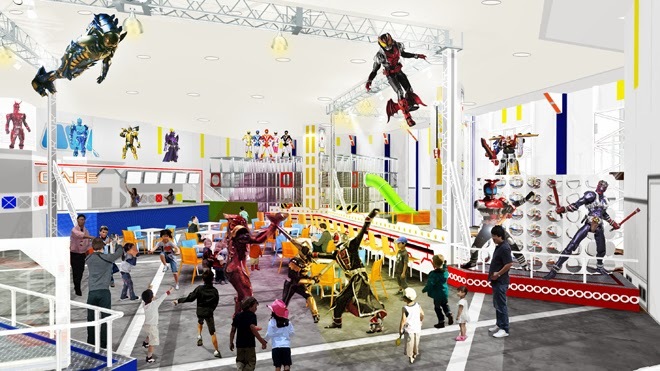 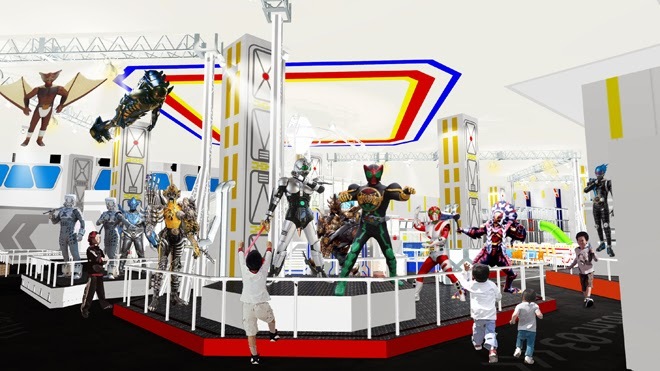 In partnership with Namco, TOEI put a "hands on" and thought of a museum facing the entertainment that brings together elements of creative art linked to the TOEI Tokusatsu Heroes, as well as the movies in one place! 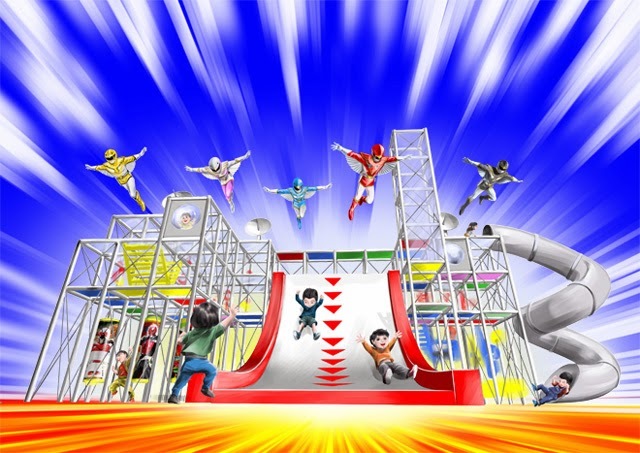 "TOEI HERO WORLD: NAMCO MUSEUM ACTION" was created so they could be immortalized and thus, always remembered by several generations. The museum part that will showcase all kinds of materials from various tokusatsu works, such as uniforms, clothing and props. 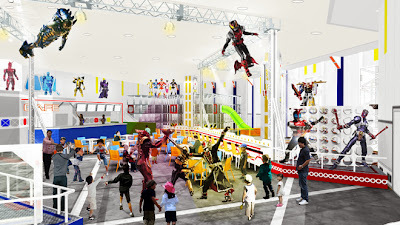 Additionally, there are also attractions or facilities are available for the enjoyment of the entire family, such as rides and play spaces. 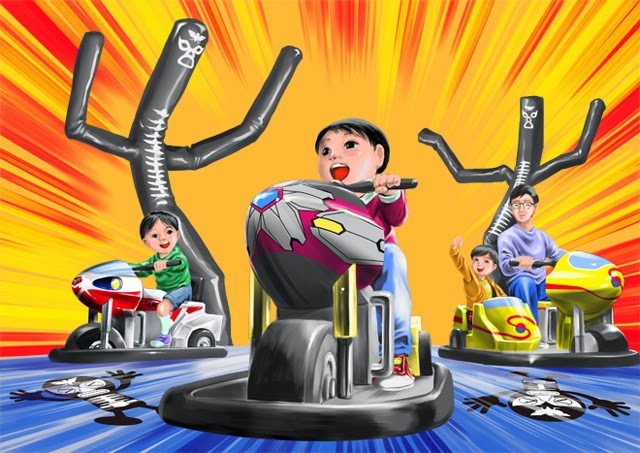 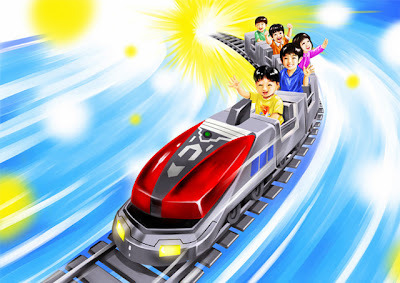 The athletic course "Hero Base", "Train of Time Denliner" and "Shocker Attack" rides, and "Decisive Battle! Super Sentai Bazooka" shoot-em-up game. 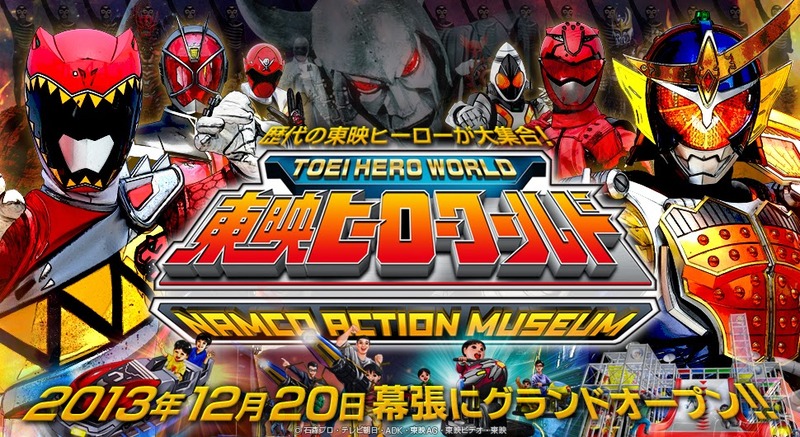 Located at the 3rd floor of Aeon Shopping Makuhari New City in Mihama, Chiba City, "TOEI HERO WORLD: NAMCO MUSEUM ACTION" will open on December 20th.